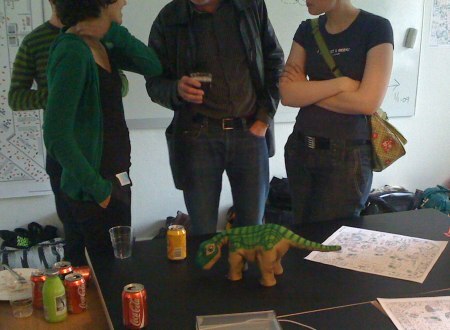 I have been writing about the robot dinosaur Pleo before – a cute robot with the looks of a dinosaur that is so much better than the ‘old’ Sony robot AIBO – faster, cheaper (a LOT) and much cuter…. 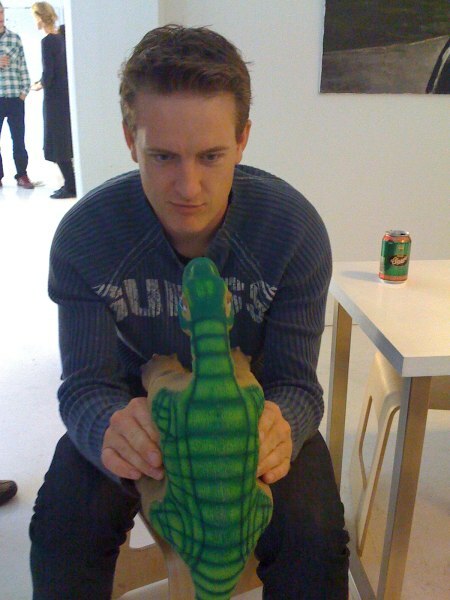 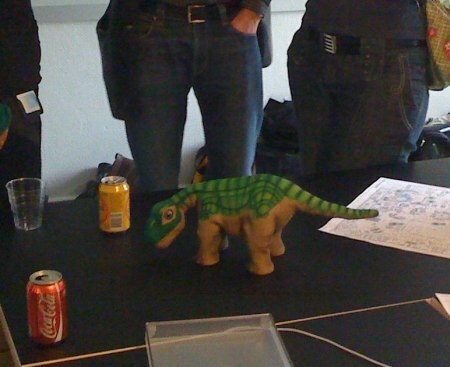 Btw I really like the idea that Susanne will have a Pleo walking around in the office as the office-pet-dinosaur, giving the customers coming around the posibility to see this cute toy and give him some attention… nice! 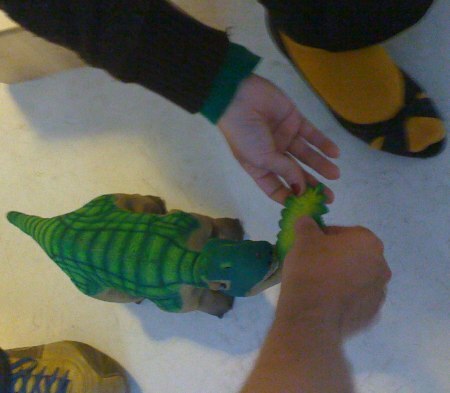 Pleo is supposed to be a baby robotic dinosaur so of course it comes with its own leaf to play with… and it seems like Pleo is very interested in both the leaf and very curious about the world around.